For most children a party promises sugary treats that they may not be allowed very often at home. However more parents are now offering healthier party food alongside a small selection of sugary treats. This weekend my youngest daughter is having a joint birthday party with her best friend and my friend and I have chosen to reward game winners with stickers rather than sweets. We are hoping the children will not be too disappointed, but are thankfully at an age when they still love getting stickers! Offering healthy snacks does not have to mean boring. Fruit and vegetables offer an array of colours. Perhaps you could create a fruit rainbow? A chocolate fondue with fruit to dip is fun and by choosing a darker chocolate will mean less sugar content. Or maybe serve a Knickerbocker Glory with a small scoop of ice cream on top of the fruit and you could even add an extra treat at the bottom of the glass to encourage the children to eat all the fruit. The treat could be a couple of jelly strawberry sweets or a few chocolate chips. 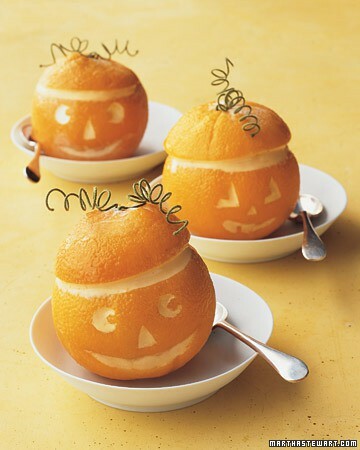 Perhaps you want to offer something more substanial for the party food than sandwiches. 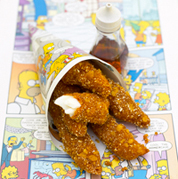 These homemade fish fingers from Annabel Karmel are delicious. I have also used cornflakes to make homemade chicken nuggets. My children prefer them made with Crunchy Nut Cornflakes but I woldn’t recommend at a party due to nuts being in the cornflakes. Most children love ice cream or ice lollies. Homemade lollies are delicious and can be full of fruit. Try freezing smoothie mix in ice lolly moulds. 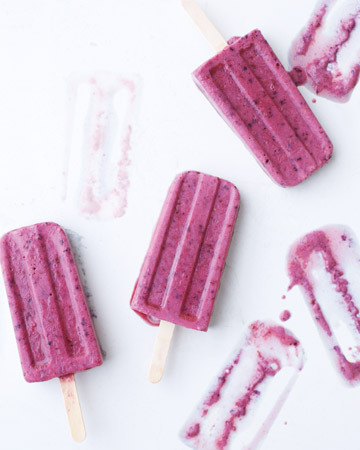 These Bananna, Berry and Buttermilk lollies from Martha Stewart look colourful and are full of fruit, perfect for children and parents too! 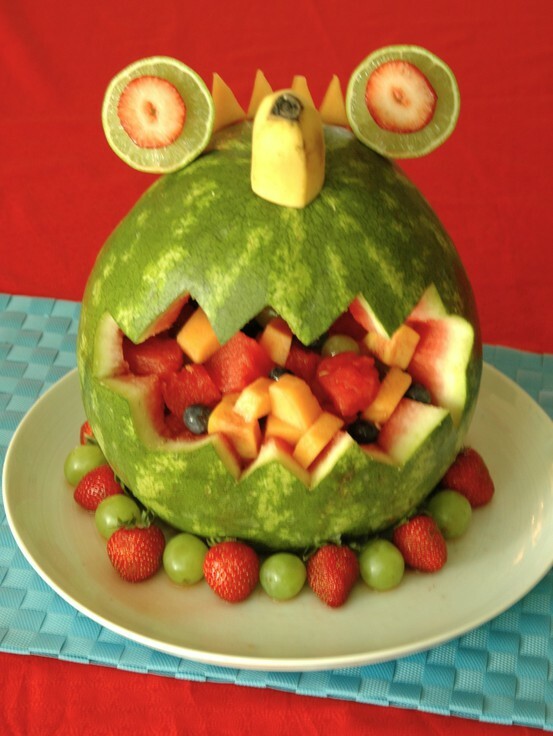 Do you have a perfect recipe for a childrens party or have you created a fun yet healthy party snack? Please share in the comments or send me an email and I may feature it here on the blog.